It’s all about flexibility, where you are in control of the size and set up that works best for you. 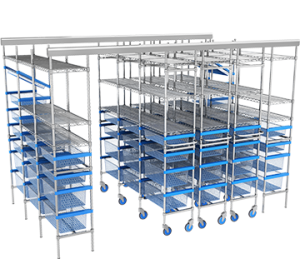 The Nimble Storage System has been designed to combine high density storage with strong and durable shelving. With the need for more efficient supply methods within healthcare facilities, space is limited and therefore more innovative solutions are required. Our unique system allows you optimise your supply chain within your facility through providing a highly customisable storage system. We have essentially taken the best of both worlds, from wire shelving and the modular basket storage, and combined them. 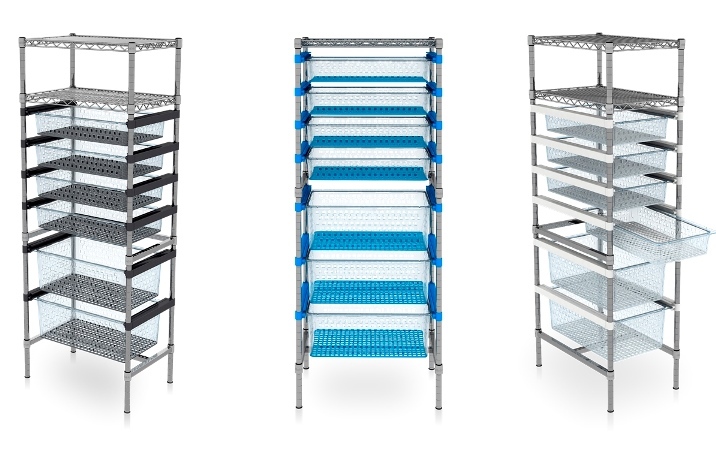 The modular design of the Nimble system allows for easy and flexible integration with unlimited options to accommodate different storage needs. Using the collar sleeve mechanism to deliver high weight capacities. Ability to create a fit for purpose solution in any environment. Maximise your storage capacity with easy to customise solutions. Unlimited options to accommodate any storage space! 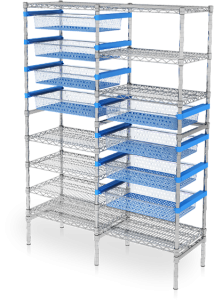 The Nimble Storage System is the flexible solution to high density storage offering clinicians the opportunity to adapt the wire shelving and trays to suit their needs. Functionality never looked this good. Customise to suit your needs.